Pettitte was notoriously his best in the months of the August and September. He posted 50 wins, 19 losses, 3.43 ERA, 1.25 WHIP for his career in August (a month that is argued by many to be the most crucial) and 36 wins, 19 losses, 3.98 ERA, 1.32 WHIP for his career in September. Any other month pales in comparison for Pettitte. I thought that it was supposed to be the hitters that caught up late in the season? Not Pettitte. We’d be talking about Pettitte as one of the best pitchers in the game, if the MLB season was only played in August and September. We can therefore conclude that a good portion of those September and August performances would have come at the hands of the Blue Jays the way that the MLB schedule is usually set up. Weighting most divisional games towards the end of the season. Although, Pettitte’s career ERA and his WHIP aren’t spectacular against the Blue Jays (4.16 ERA, 1.35 WHIP). Pettitte struckout more Blue Jays than he did against any other team (206 career) and he won the second most amount of games (21W) in his career against the Jays (the Orioles (27W) being the first). Not to mention, Pettitte’s 15W-5L record in the Rogers Centre/Skydome. 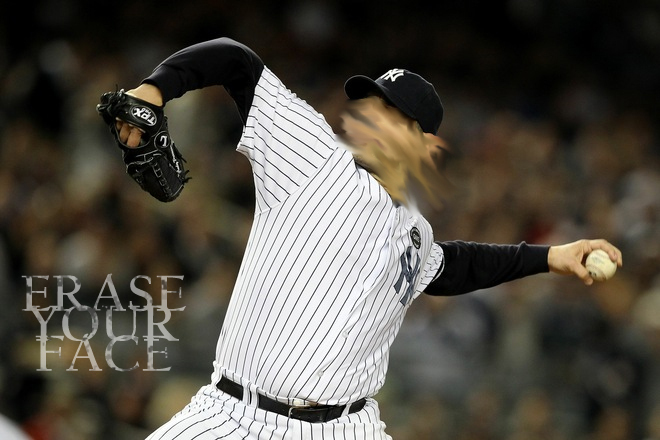 Countless times Pettitte would silence the Jays late season push, from my observation. Him and his steroid buddy, former Jay defector/cancer Roger Clemens can stay far away from baseball. Good riddance to you Pettitte! I’m going to erase your face! I hope that you are actually retiring this time, if not, I’ll put your face back.